Welcome to the last stop on the Father's Day blog hop! 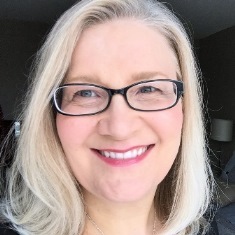 I know you have been treated to lots of inspirational and amazing projects! (If you haven't seen all the posts on the hop, I'll share the links to all of them at the bottom of my post!) 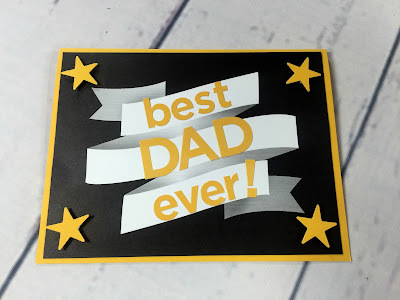 Today I'm sharing a few ideas for Father's day cards with you. 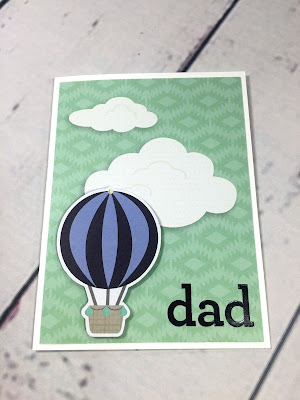 Although I love making handmade cards, I find that masculine cards can sometimes be difficult to create. Sometimes its hard to come up with an idea (Pinterest to the rescue!) or I just can't seem to find the right paper or sentiment. 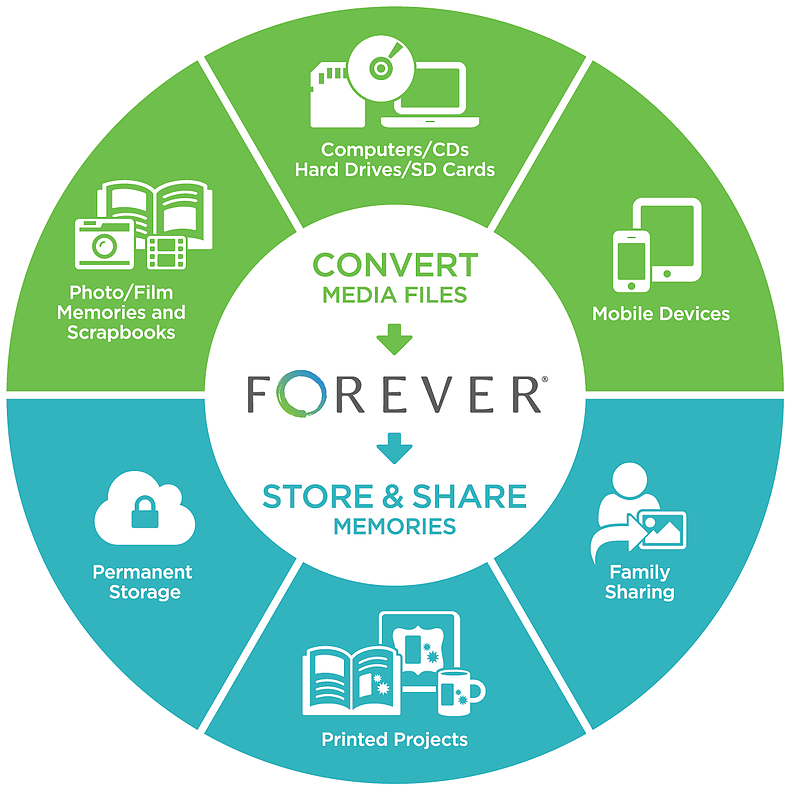 That's where Creative Memories Slide-in Card Packs and ABC/123 Stickers come in handy! I will often use these amazing little gems as card starters. They are pre-designed so they look great, and they just need to be cut down a little to fit a standard card base. Then I just need to add some coordinating ABC/123 Stickers to make my card say exactly what I want it to! 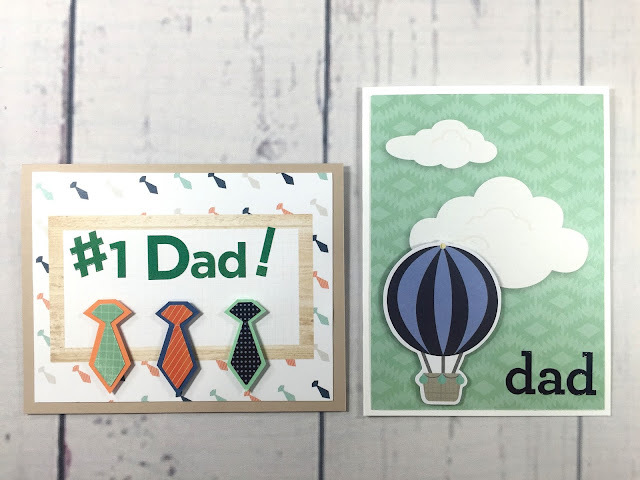 Although CM has a large selection of Slide-In cards that coordinate with our Decorative Paper Packs, I chose to use three Slide-In packs to create my cards with: the Hello Baby Boy Slide-In Pack, the Fall In Slide-In Pack, and the brand new Achievements Slide-In Pack. Let me show you how easy these cards were to make! First up are the cards made with the Hello Baby Boy Slide-In Pack. 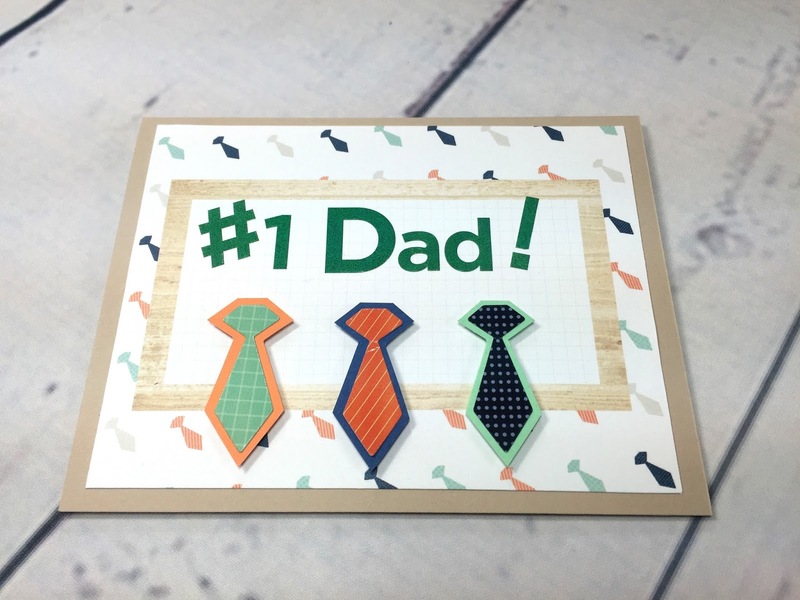 Normally I wouldn't think to use baby products for a card for an adult male, but I loved the woodgrain patterns, the subdued versions of predominantly masculine colors and the fun nod to grown-up clothing such as neckties that were part of this pack! 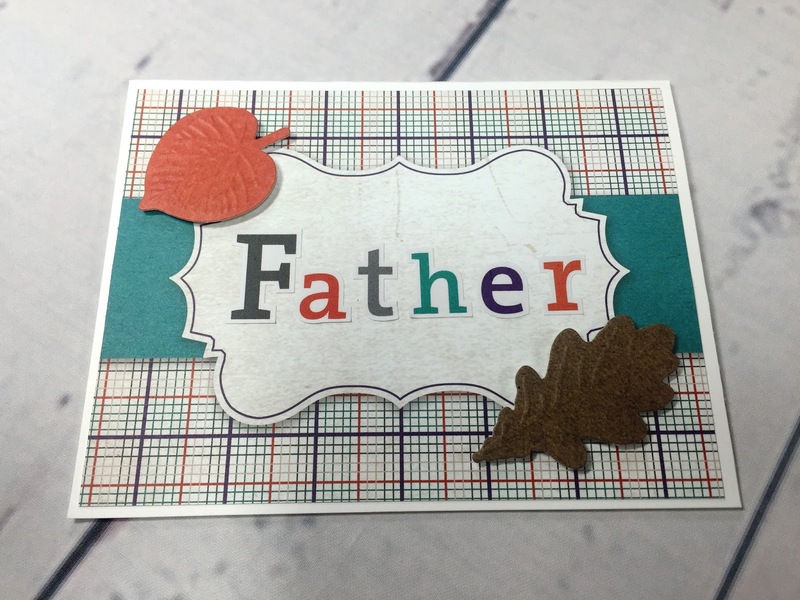 Cut a 4.25" x 11" card base using beige cardstock. Score and fold in half. Trim the Necktie and Woodgrain journaling card from the Hello Baby Boy Slide-In Pack to measure 4" x 5.25". Adhere onto card base. Use Watercolor Green ABC/123 Stickers to create sentiment inside the journaling box. Place three necktie stickers from the Hello Baby Boy Stickers onto scraps of coordinating cardstock and trim around them, leaving a small border. Mount the neckties below the sentiment using Foam Squares for added dimension. Cut a 4.25" x 11" card base from white cardstock. Score and fold in half. Trim the Balloon and Clouds journaling card from the Hello Baby Boy Slide-In Pack to measure 4" x 5.25". Adhere onto card base. Use Navy ABC/123 Stickers to create sentiment at bottom right hand corner of card. 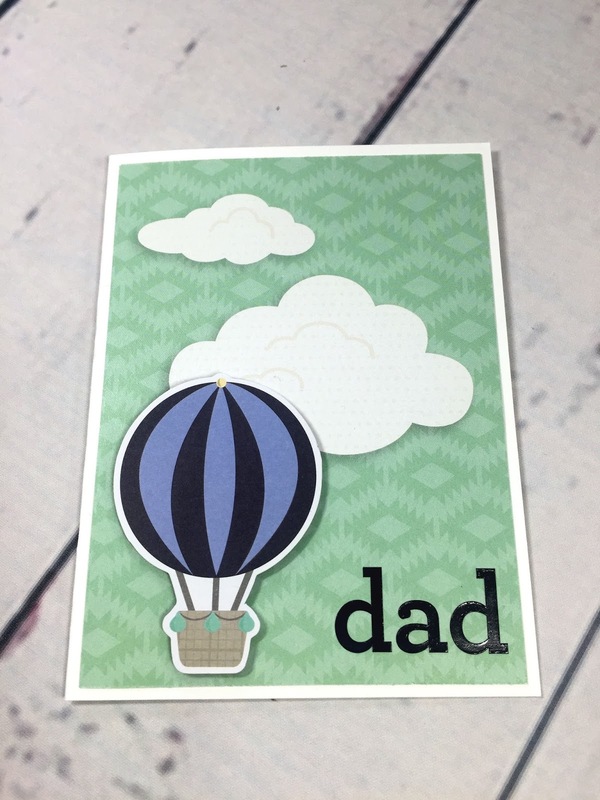 Mount the matching balloon die-cut from the Hello Baby Embellishments over the balloon printed on the card using Foam Squares for a three-dimensional look. Next I used some great cards from the Fall In Slide-In Pack. These colors and patterns (plaid and more woodgrain!) are prefect for masculine cards. Many of the slide-in cards include shapes intended for journaling, but they are perfect for adding titles and sentiments to. And I love how coordinated and fun the Fall In ABC Stickers are! Trim the Plaid and Teal Stripe journaling card from the Fall In Slide-In Pack to measure 4" x 5.25". Adhere onto card base. Use Fall In ABC Stickers to create sentiment in the empty shape in the centre of card. 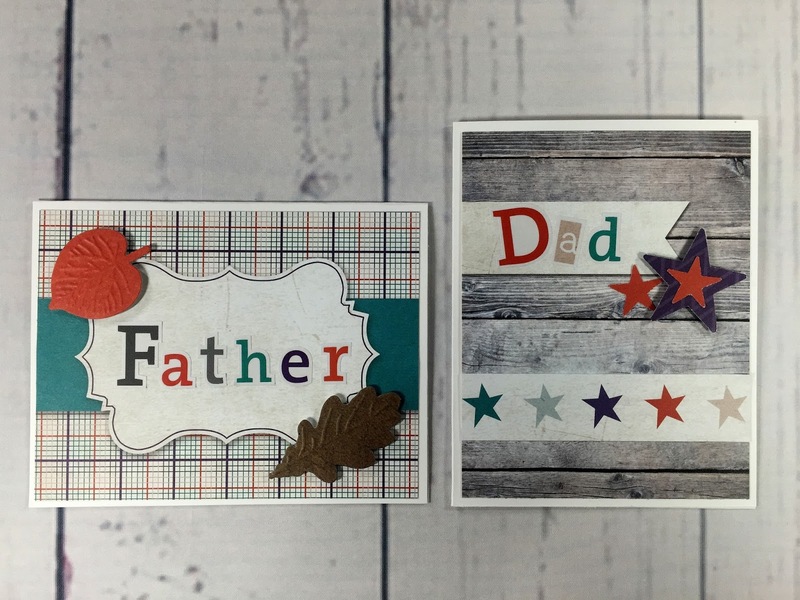 Choose two embossed die-cut leaves from the Fall In Leaf Embellishments and mount as shown using Foam Squares to pop them off the card and provide emphasis. Trim the woodgrain journaling card with banner from the Fall In Slide-In Pack to measure 4" x 5.25". Adhere onto card base. Use Fall In ABC Stickers to create sentiment in the banner shape at the top of the card. Trim a 4" star border strip from the decorative paper in the Fall In Paper Pack. Adhere across card about 1/3rd of the way up from the bottom. Punch a large star from a piece of coordinating scrap paper or cardstock using the Star Place and Punch. 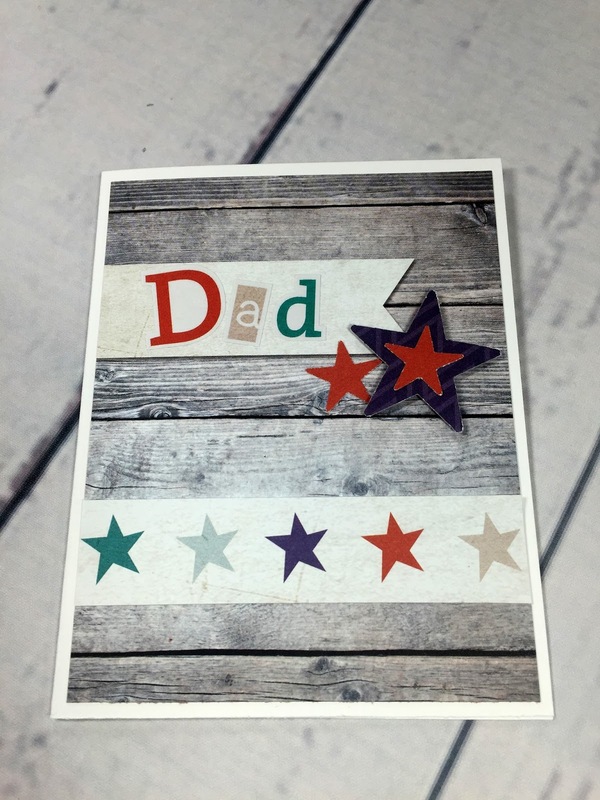 Punch small stars from another scrap piece of decorative paper or cardstock using the Star Border Maker Cartridge. Adhere one small star on top of larger star and mount on card using a Foam Square. Adhere another small star onto card as shown. Finally I turned to the bold graphic designs of the Achievements Slide-In Pack to find more inspiration for masculine cards. the great thing about the black, white and gray designs are that you can pair them with any color as accents. In this case I chose bright yellow! Cut a 4.25" x 11" card base from yellow cardstock. Score and fold in half. Trim the empty banner journaling card from the Achievements Slide-In Pack to measure 4" x 5.25". Adhere onto card base. 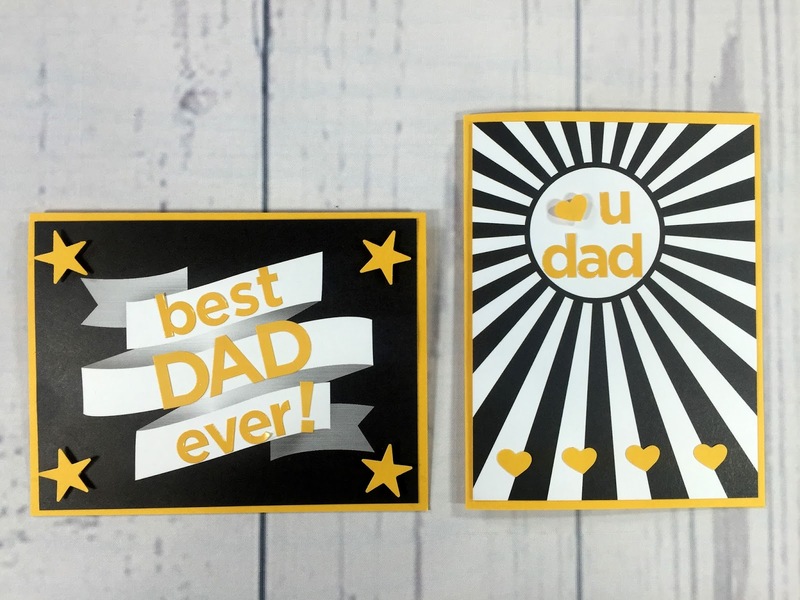 Use Gold ABC/123 Stickers to create sentiment in the empty banner in the centre of card. 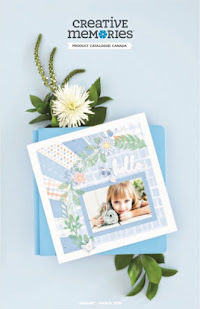 Punch small stars from leftover yellow cardstock using the Star Border Maker Cartridge. Adhere one small star to each corner of the card using a Foam Square. Trim the sunburst style journaling card from the Achievements Slide-In Pack to measure 4" x 5.25". Adhere onto card base. 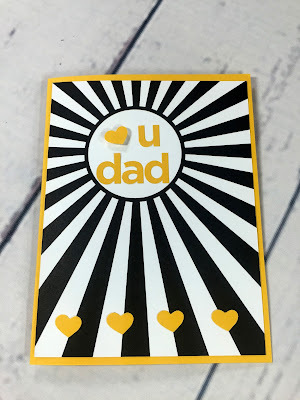 Punch several small hearts from leftover yellow cardstock using the Heart Chain Border Maker Cartridge. Mount one heart in the empty circle and four hearts along the bottom of the rays (as shown) using Foam Squares to make them pop. Use Gold ABC/123 Stickers to complete the sentiment inside the circle. There you have it...lots of easy, masculine cards based on the handy little 4 x 6 cards found in the Slide-In packs, along with perfect sentiments courtesy of ABC/123 Stickers! Thanks CM! If you haven't visited all the stops on today's blog hop yet, make sure you go check out all the amazing projects and ideas! Stop #6 - You are here! 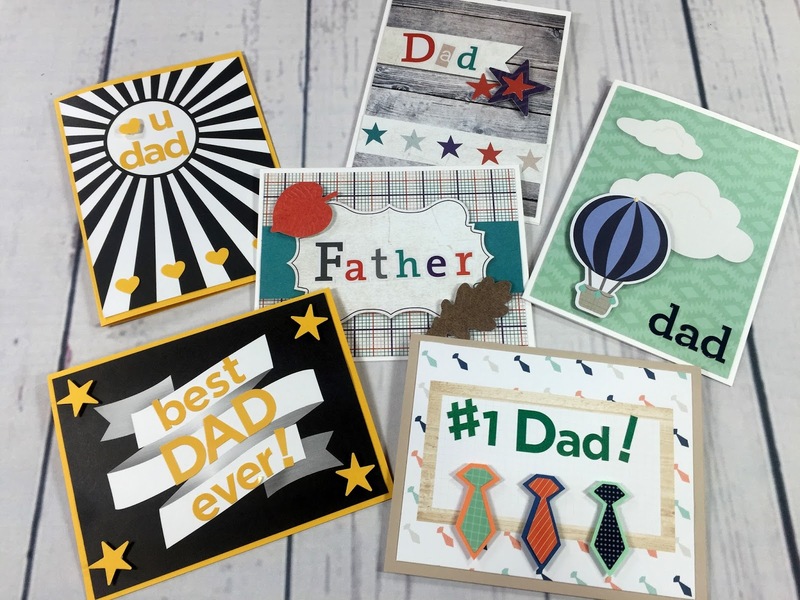 Then, go get crafty and make something to show your Dad, Hubby or Grandpa just how special they are! Nice work Noreen-sufficiently masculine and fun at the same time! I really can't decide which of these cards I like the best! Love all of them! Great job Noreen!! Love the card idea for slide in paper packs!